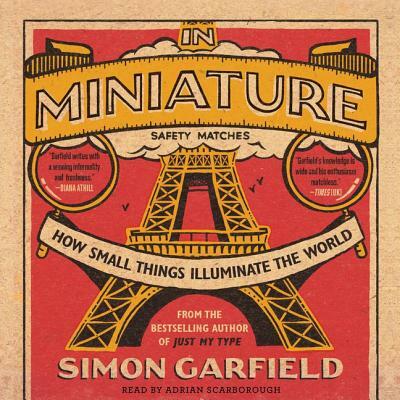 Bestselling, award-winning writer Simon Garfield returns with an enthralling investigation of humans' peculiar fascination with small things--and what small things tell us about our larger world." Simon Garfield is] an exuberant truffle-hound of the recondite and delightful factoid." --Sunday Times (London)Simon Garfield writes books that shine a light on aspects of the everyday world in order to reveal the charms and eccentricities hiding in plain sight around us. After beguiling fans with books about everything from typography to time, from historic maps to the color mauve, he's found his most delightful topic yet: miniatures. Tiny Eiffel Towers. Platoons of brave toy soldiers. A doll's house created for a Queen. Diminutive crime scenes crafted to catch a killer. Model villages and miniscule railways. These are just a few of the objects you will discover in the pages of In Miniature. Bringing together history, psychology, art, and obsession, Garfield explores what fuels the strong appeal of miniature objects among collectors, modelers, and fans. The toys we enjoy as children invest us with a rare power at a young age, conferring on us a taste of adult-sized authority. For some, the desire to play with small things becomes a desire to make small things. We live in a vast and uncertain world, and controlling just a tiny, scaled-down part of it restores our sense of order and worth. As it explores flea circuses, microscopic food, ancient tombs, and the Vegas Strip, In Miniature changes the way we perceive our surroundings, encouraging all of us to find greatness in the smallest of things.